1. 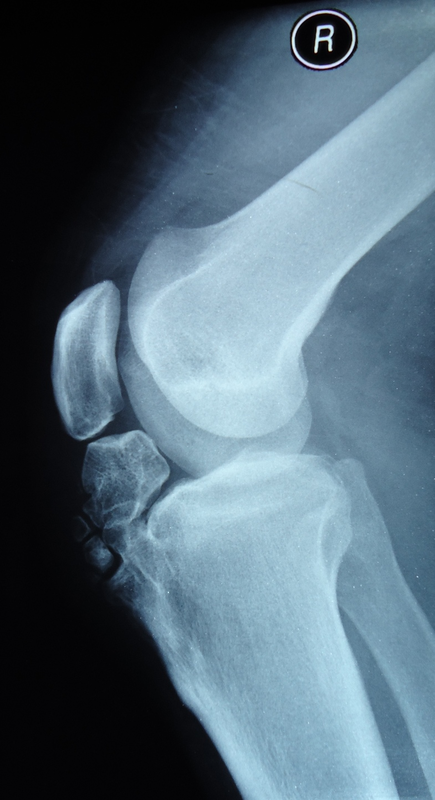 Adult presentation of Osgood schlatter disease? 2.Technique of arthroscopic removal of large ossicles from behind the patella tendon? Department of Arthroscopy and Sports Medicine, Wangjing Hospital, China Academy of Chinese Medical Sciences, Beijing, 100102, China. 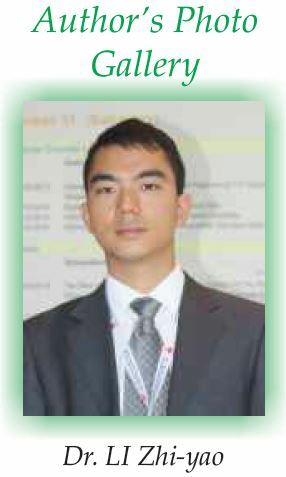 Dr LI Zhi-yao: Department of Arthroscopy and Sports Medicine, Wangjing Hospital, China Academy of Chinese Medical Sciences, Beijing, 100102, China Email: zhiyao.li@hotmail.com. Introduction: Surgical excision of the ununited ossicles has been suggested for unresolved sequelae of Osgood-Schlatter disease in adults resistant to conservative measures. 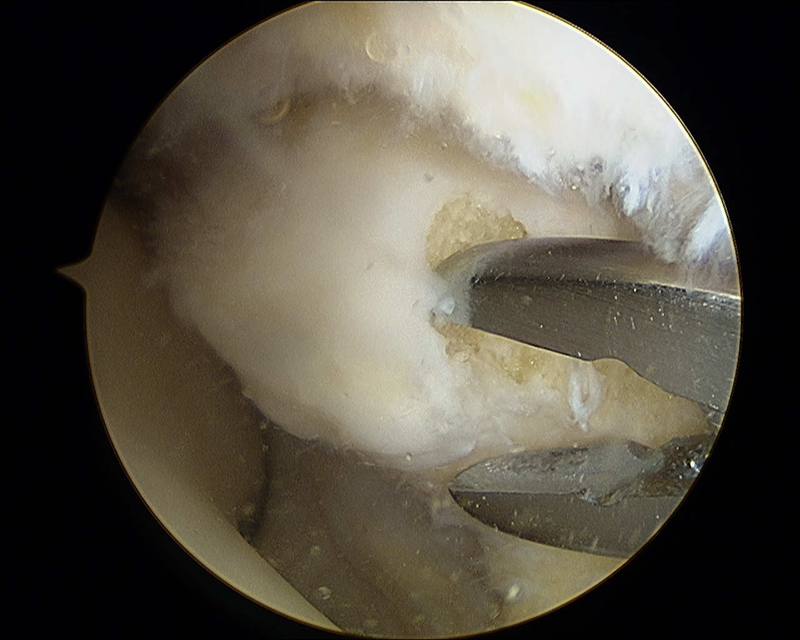 We report a case where arthroscopy was used to excise the ossicles. A bird eye view from the superolateral portal was helpful in the arthroscopic procedure for excision of the deep low lesion. Case Report: A 32-year-old, male driver had anterior knee pain during walking and sports activity that had been treated conservatively for 3 months. On physical examination, there was a prominent tibial tubercle, but without palpable pain. There was obvious pain when the knee was approaching full extension. On image, a huge ununited ossicle was seen behind the patellar tendon, intruding into the joint space, and there was another two small ununited ossicles beneath the bow-shaped patellar tendon. Arthroscopy was performed through a three portals technique, and a bird eye view was achieved from the superolateral portal. The ossicles were separated from the surrounding soft tissue with a motorized shaver. The small ununited ossicles were removed by use of a grasper. The huge ossicle was removed by use of a motorized bur, and the contouring of the irregular surface of the tibial tubercle was performed. After 3 months, the patient returned to sports activities without any restrictions. Conclusion: This report shows that a huge ossicle can cause impingement in anterior knee compartment, and it can be easily removed arthroscopically under assistance of an additional portal. 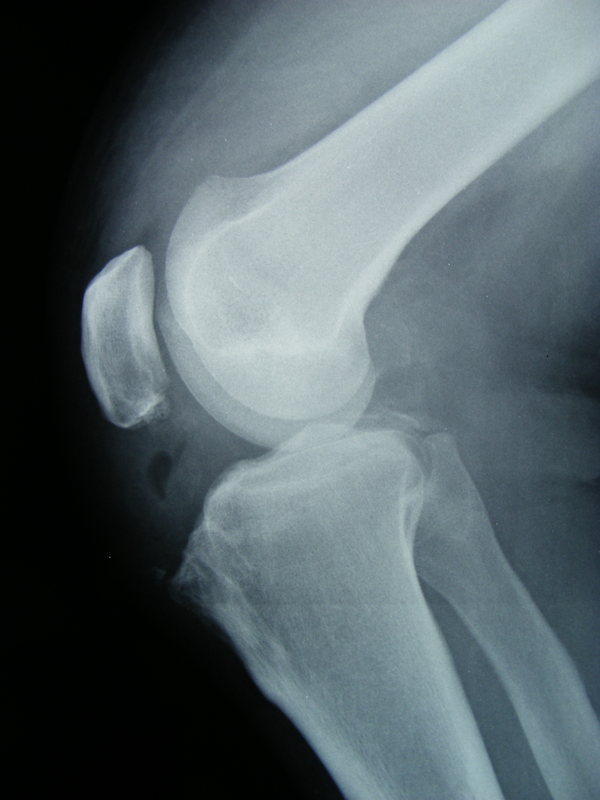 Keywords: Osgood-Schlatter disease; Knee; Arthroscopy; Superolateral portal. Osgood-Schlatter disease is one of the most common causes of knee pain in adolescents, but rare in adults . Adult patients of Osgood-Schlatter disease always have pain when in climbing and doing sports. Most of them have palpable pain at the tibial tubercle. The ossicles are beneath the patellar tendon near the tibial tubercle, and they rarely intrude in to the knee joint. We report the case of a patient with a huge ossicle behind the patellar tendon, causing impingement in the anterior compartment of the knee. The excision of the huge ossicles and contouring of the prominent tibial tubercle were performed arthroscopically by use of a three portals technique. A 32-year-old, male diver had a prominence of tibial tuberosity for 12 years. He was admitted to our clinic with anterior knee pain during walking and sports activity. Conservative treatment in form of anti-inflamatory and physiotherpy was tried for 3 months. He was also given 5 sodium hyaluronate injections for knee pain at another centre. On physical examination, there was a prominent tibial tubercle without palpable pain, but there was obvious pain when the knee was approaching full extension. He had a hard patellar tendon even in relaxed position. On radiographic examination, a huge ossicle was seen behind the patellar tendon (Fig 1A). 3D-CT showed presence of a huge ossicle and two small ossicles separate from the tibial tubercle. The largest diameter of the ossicle was 3 cm. Magnetic resonance imaging sections showed bow-shaped patellar tendon with tendonitis, but in good continuity. Arthroscopy was performed through a three portal technique. The standard anterolateral and anteromedial portals close to the patellar tendon were employed. The intercondylar notch was narrow and that it was impossible to see the whole ossicle. A separate superolateral portal was made. From the superolateral portal the outline of the ossicle, with a layer of fibrous envelop, could be seen (Fig 2A). The ossicle impinged on the roof of intercondylar notch when the knee was approaching full extension and was possible cause of pain. The soft tissue at the retropatellar surface and the inflamed infrapatellar fat pad behind the patellar tendon were debrided with a motorized shaver. The huge ossicle was nibbled by a clamp (Fig 2B) and removed by a bur. The two small ossicles were separated from the surrounding soft tissue with a motorized shaver and removed by use of a grasper. After excision of the ossicles, the inflamed surface of the retropatellar tendon was debrided again. The contouring of the irregular surface of the tibial tubercle was performed by use of a motorized bur. Considering the differential diagnosis of synovial chondromatosis[2,3], synovium was subjected to histopathological examination. In HE-stain slide, the synovium appeared normal and was not associated with cartilage metaplasia. There was no subsynovial nodules of hyaline cartilage (Fig 3). The patient’s extremity was placed in a soft-tissue dressing after the completion of the procedure, without any immobilization. Weight-bearing and range-of-motion exercise were allowed on the first postoperative day. Quadriceps femoris contraction and strengthening activities with straight leg raises were begun the first day after surgery. After 3 weeks, the patient returned to sports activities without any restrictions. Radiographic examination revealed complete removal of the ossicles (FIG 1B). Osgood-Schlatter disease is not a common cause of anterior knee pain in adult, but it may present as long lasting cause of knee pain non responsive to conservative management. The ununited ossicle and the prominent tibial tubercle are the typical pathology of the Osgood-Schlatter disease, but an ossicle larger than 2 cm in diameter is not commonly seen in literature. This patient had multiple ossicles, and one of them had a large diameter of more than 2 cm. Most of the ossicles are beneath the patellar tendon near the tibial tubercle, and they would not intrude into the knee joint. They will cause pain when patients tensed the patellar tendon, such as in climbing. There would be palpable pain in most of the patients. In this patient, the huge ossicle was behind the patellar tendon, and it had intruded into the knee joint, causing impingement of the knee, which caused the pain when the knee was approaching full extension. However, he had no palpable pain at the tibial tubercle. Surgical treatment of unresolved Osgood-Schlatter disease is recommended for adults . The procedure includes removing the ossicles and/or tubercleplasty. Clinical results are optimistic[6,7]. Surgical management of the Osgood-Schlatter disease can be approached by open or arthroscopic excision. Arthroscopy enables us to remove the ossicles in a minimal invasive way. Most of the procedure can be done through the routine anteriomedial and the anteriolateral portal [9, 10]. But it is difficult to reach the ossicles through the two portals when the location is low, like in a deep infrapatella bursa. In this condition, adjuvant portal may be helpful in special cases. The superolateral portal is helpful in several procedures[12-14], such as tibial tubercle osteotomy, medial patellofemoral ligament reconstruction, repair of an avulsed popliteus tendon, et al. But there is not any literature reporting the use of superolateral portal for Osgood–Schlatter Disease. In this study, the ossicle was too large to be fully seen through the routine portal. An adjuvant superolateral portal was employed for convenience. A bird’s eye view of the whole ossicle was easily achieved through the superolateral portal, and it is easy the reach the ossicle through the superolateral portal. 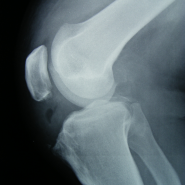 This is a rare case of Osgood–Schlatter Disease, in which the ununited ossicle intruded into the knee joint and caused impingement of the knee. This kind of huge ossicle and arthroscopic removal is only rarely reported. 1.Gholve PA, Scher DM, Khakharia S, Widmann RF, Green DW.Osgood Schlatter syndrome. Curr Opin Pediatr. 2007 Feb;19(1):44-50. 2.Macias J, Marczyński W, Sosnowski R, Nowak-Misiak M, Siemkowicz M. [Differential diagnosis of certain knee joint tumours and casuistry]. Chir Narzadow Ruchu Ortop Pol. 2011 May-Jun;76(3):165-168. 3.Falciglia F, Giordano M, Aulisa AG, Poggiaroni A, Guzzanti V. Osgood Schlatter lesion: histologic features of slipped anterior tibial tubercle. Int J Immunopathol Pharmacol. 2011 Jan-Mar;24(1 Suppl 2):25-28. 4. Robertsen K, Kristensen O, Sommer J. Pseudoarthrosis between a patellar tendon ossicle and the tibial tuberosity in Osgood-Schlatter’s disease. Scand J Med Sci Sports. 1996 Feb;6(1):57-59. 5. Weiss JM, Jordan SS, Andersen JS, Lee BM, Kocher M. Surgical treatment of unresolved Osgood-Schlatter disease: ossicle resection with tibial tubercleplasty. J Pediatr Orthop. 2007 Oct-Nov;27(7):844-847. 6. El-Husseini TF, Abdelgawad AA. Results of surgical treatment of unresolved Osgood-Schlatter disease in adults. J Knee Surg. 2010 Jun;23(2):103-107. Schlatter disease in young men. J Bone Joint Surg Am. 2009 Oct;91(10):2350-2358. 8. Yong Seuk Lee, Jin Hwan Ahn, Dong-Il Chun and Jae Ho Yoo. A case of arthroscopic removal of symptomatic ossicle associated with Osgood–Schlatter disease in an athletic. Eur J Orthop Surg Traumato. 2011;21:301-304. 9. Beyzadeoglu T, Inan M, Bekler H, Altintas F Arthroscopic excision of an ununited ossicle due to Osgood-Schlatter disease. Arthroscopy 2008;24:1081–1083. 10.DeBerardino TM, Branstetter JG, Owens BD. Arthroscopic treatment of unresolved Osgood-Schlatter lesions. Arthroscopy. 2007;23:e1121–e1123. 11.Klein W. Endoscopy of the deep infrapatellar bursa. Arthroscopy. 1996 Feb;12(1):127-31. 12. Shenoy PM, Kim DH, Wang KH, Oh HK, Soo LC, Kim JH, Nha KW. 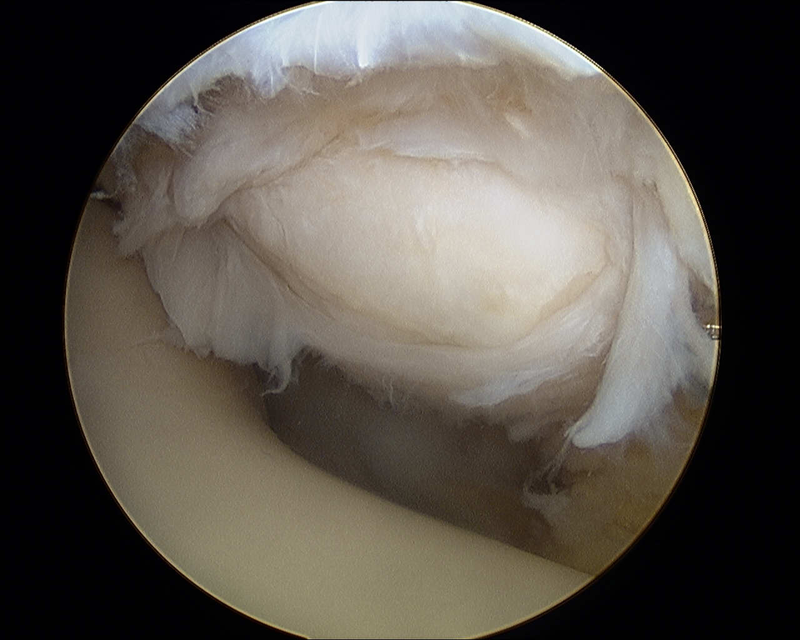 Calcific tendinitis of popliteus tendon: arthroscopic excision and biopsy. Orthopedics. 2009 Feb;32(2):127. 13.Lucas TS, DeLuca PF, Nazarian DG, Bartolozzi AR, Booth RE Jr.Arthroscopic treatment of patellar clunk. Clin Orthop Relat Res.1999 Oct;(367):226-229. 14.Brief LP, Laico JP. The superolateral approach: a better view of the medial patellar plica. Arthroscopy. 1987;3(3):170-172. 15.Naveed MA, Ackroyd CE, Porteous AJ. Long-term (ten- to 15- year) outcome of arthroscopically assisted Elmslie-Trillat tibial tubercle osteotomy. Bone Joint J. 2013 Apr;95(4):478-485. 16.Howells NR, Barnett AJ, Ahearn N, Ansari A, Eldridge JD. Medial patellofemoral ligament reconstruction: a prospective outcome assessment of a large single centre series. J Bone Joint Surg Br. 2012 Sep;94(9):1202-1208. 17.Salzler MJ, Martin SD. All-arthroscopic anatomic repair of an avulsed popliteus tendon in a multiple ligament-injured knee. Orthopedics. 2012 Jun;35(6):e973-976. How to Cite This Article: Li Zhi-Yao. Arthroscopic Excision of a Huge Ununited Ossicle Due to Osgood-Schlatter Disease in an Adult Patient. J Orthopaedic Case Reports 2013 April-June;3(2):4-7.Available from: http://www.jocr.co.in/wp/2013/04/11/2250-0685-092-fulltext/.